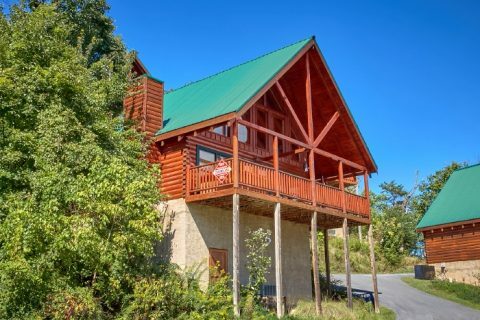 Nestled in the mountains above Pigeon Forge, "Catch of the Day" is a fantastic resort cabin in the Sherwood Forest area. 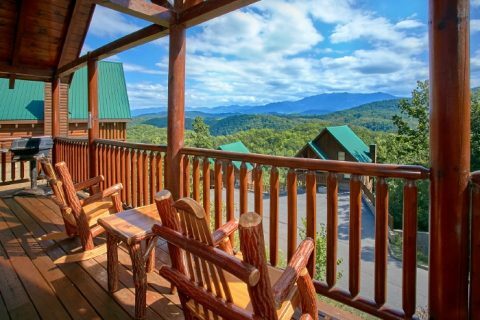 Not only does this cabin community come with a resort pool and mountain views, but it also features paved roadways and resort landscaping. 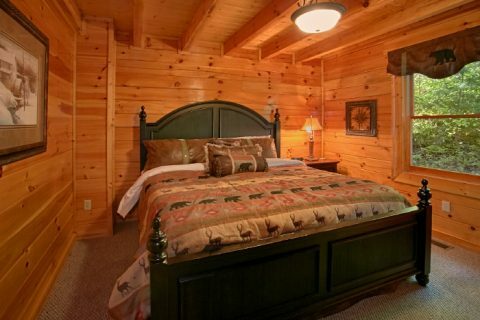 When you aren't busy exploring sights and attractions in nearby Gatlinburg, Pigeon Forge, and the national park, you can unwind just the way you like at this comfortable 2-bedroom cabin. 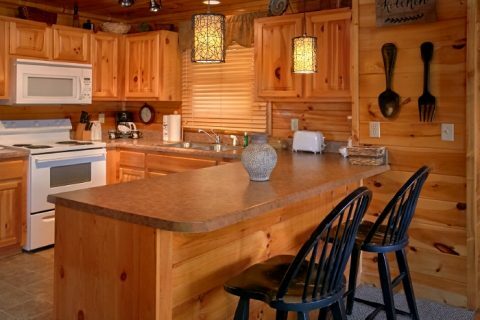 With room for up to 6 guests, "Catch of the Day" is a great fit for a romantic vacation for two or a family getaway. 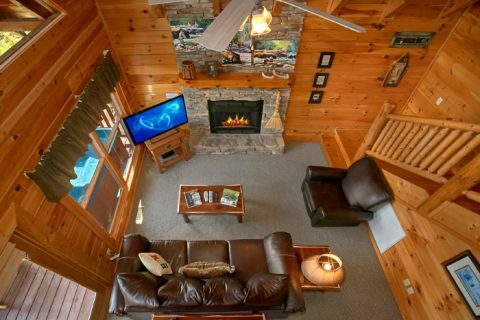 Step into the main living area that comes complete with a stacked-stone fireplace for staying warm on cool mountain nights. 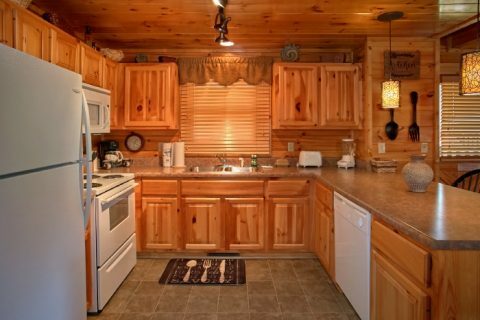 The full kitchen makes it easy to make cost-effective meals in the comfort of your cabin. 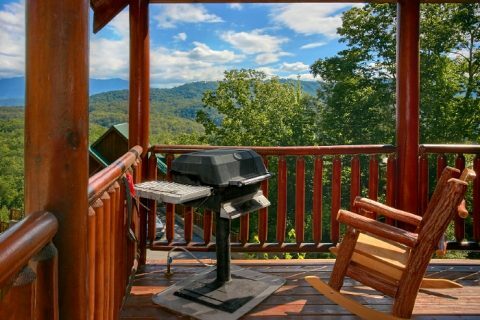 Outside on the deck, a charcoal grill offers the option of holding a cookout outside! After dinner, sit back in a deck chair or unwind in the warm waters of the covered hot tub. 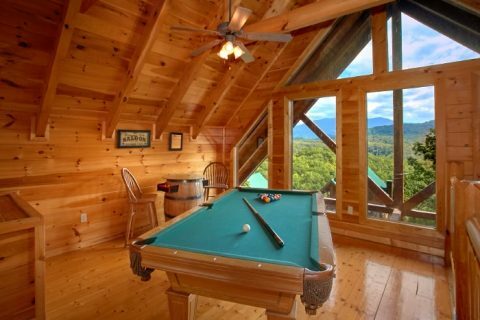 The game room loft comes complete with a pool table and an arcade game for enjoying some friendly competition. 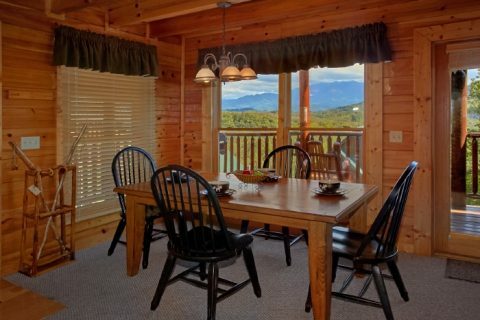 Better yet, this lofted room offers excellent views of the gorgeous mountains in the distance. 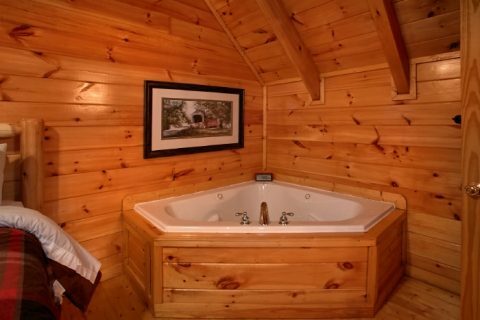 Since this cabin is nestled in Sherwood Forest, you'll enjoy refreshing swims in the seasonal resort pool for in the summer months. Another convenience this rental offers is a washer & dryer for keeping clothes fresh and clean during your stay. Additionally, WiFi is provided for your convenience. 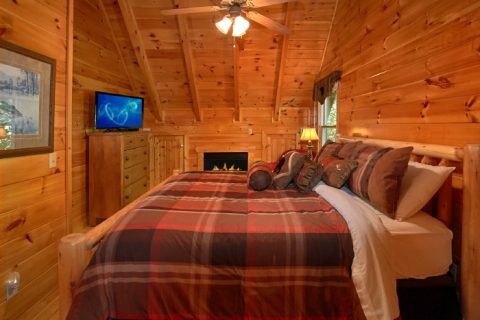 Your cabin's 2 bedrooms both feature king-size beds, flat-screen televisions, and private bathrooms. 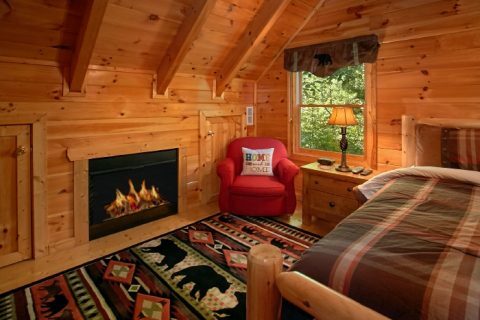 Additionally, the upstairs bedroom is a cozy master suite that boasts a jetted tub and a fireplace. 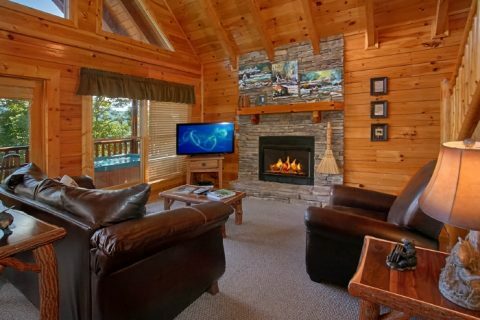 For additional space, a sofa sleeper in the living room allows "Catch of the Day" to provide plenty of room for 6 guests. 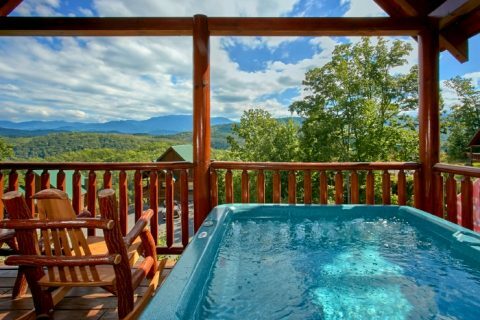 Book this comfortable 2-bedroom Smoky Mountain cabin with resort pool access with Cabins USA Gatlinburg to earn a 15% discount today! 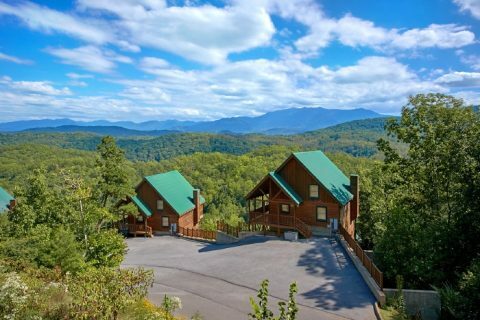 Bring your family to Pigeon Forge, TN for a fantastic Great Smoky Mountain vacation!